NEW: Get TM Tickets app to receive tickets to your mobile! For this event we are selling secure Mobile Tickets. The TM Tickets app enables you and your group to get these tickets delivered straight to your smartphone once you download and register your name and phone number on the TM Tickets app. Download TM Tickets today for Android or iOS! *If you are outside of the UK please ensure you enter your country code. Your browser is not supported for getting mobile tickets! Dido is on tour for the first time in 15 years, and we're offering you the chance to enjoy a unique Meet and Greet experience with one of the world’s most iconic voices. 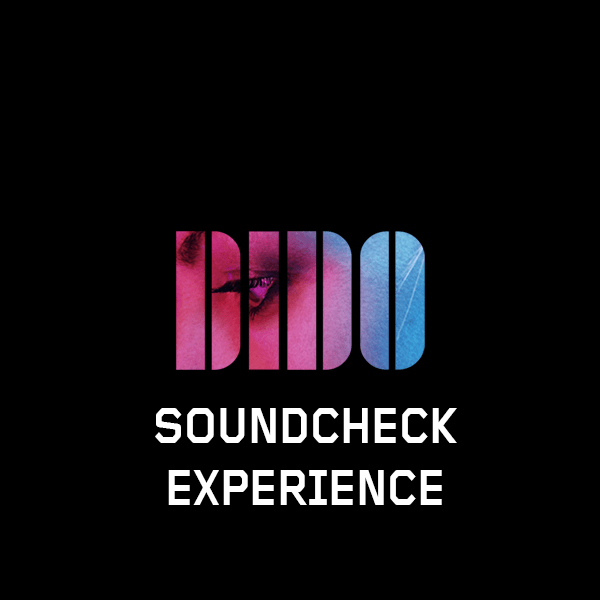 You (and a handful of others) will be able to attend Dido’s soundcheck - which takes place at the venue on the afternoon of each show on the tour - and watch her and the band run through several songs ahead of that night's performance. You will then get the chance to meet the singer in person for an exclusive meet and greet. Fans attending one of these soundcheck parties will then be surprised with an exclusive, limited edition commemorative piece of Dido merchandise which will be unavailable anywhere else. Tickets for the show are not included and need to be purchased separately.